My garden birthday party is sponsored by The Hershey Company. When I think back to all of the birthday parties I’ve been to in my life, for both myself and others, the children’s birthday parties have always been the most fun, especially the ones where there were fun activities, crafts and treats. As an adult, I’ve now discovered that children’s birthday parties are also the most fun to plan and decorate for as well! 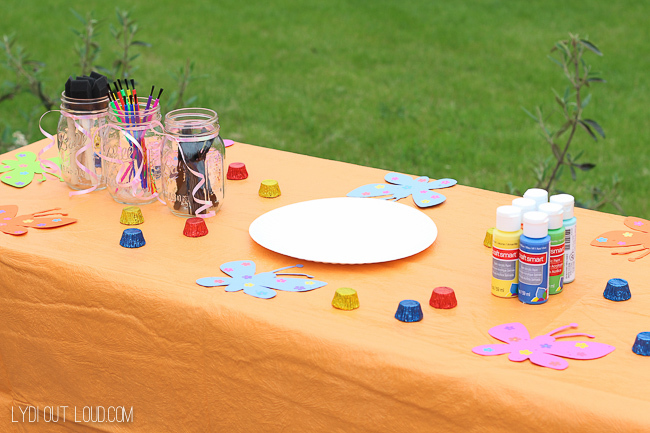 This Butterfly Garden Birthday Party is probably the most fun I’ve ever had planning and styling a party. I really love the idea of kids getting familiar with gardening and nature at a young age… gardening will be even more important to sustain nature as the years go on. 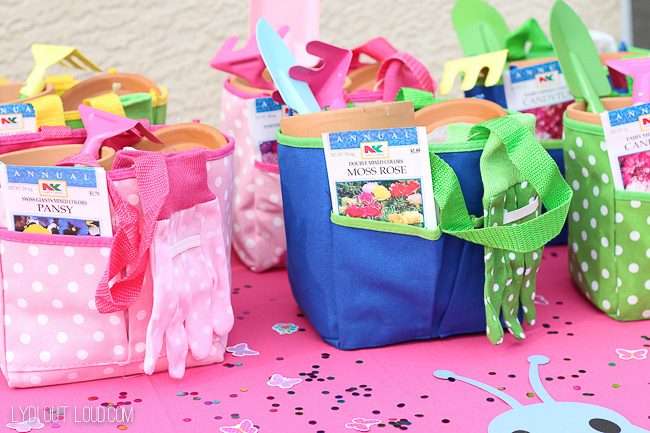 When I found children’s garden totes and garden gloves, the idea for the garden birthday party was spawned. I thought it would be so fun to have the kids get their hands a little dirty while interacting with nature, then give them the opportunity to create a craft for their moms for mother’s day. 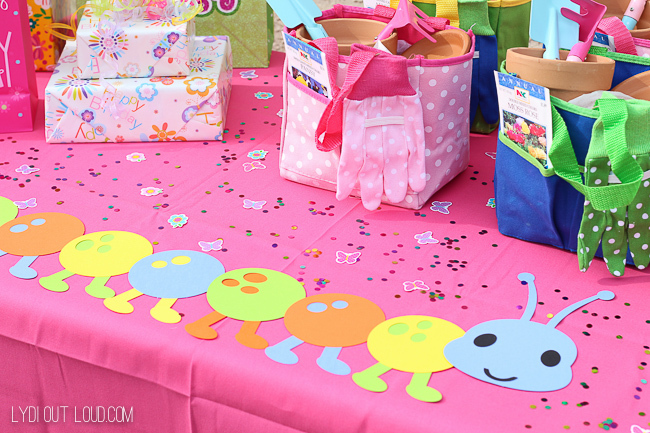 To decorate for the garden birthday party, I used my cutting machine to make a caterpillar table runner and butterfly mats for the craft table. Then I added what every little girl’s party needs – butterflies and sparkle confetti! I made mini gardener kits for the party favors. 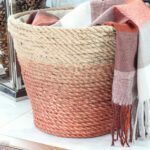 I started with the garden totes, garden gloves and garden tools. I then purchased seed packets, small clay pots/saucers and herbs. 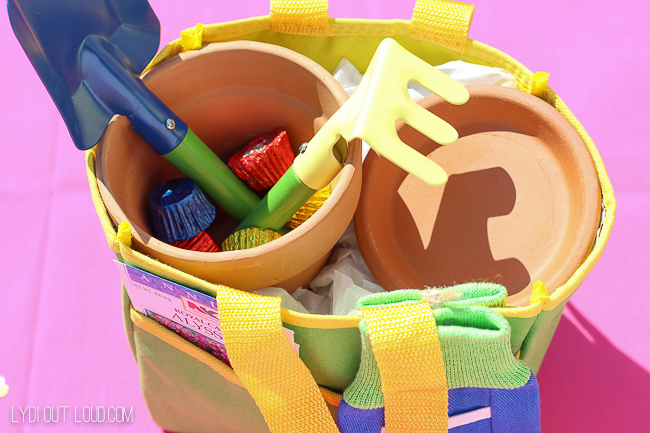 I placed the gloves, clay pot/saucer, seed packets to take home and plant, garden tools and Reese’s Peanut Butter Cup Miniatures in each garden tote. 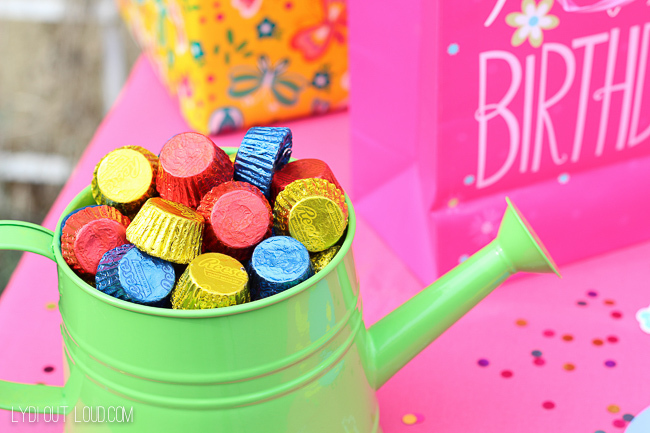 I displayed candy in watering cans and even the candy itself was festive! Hershey now has their candies in bags and wrappers that are dressed up in birthday party packaging. This made choosing the candy super easy… A., It’s already a built-in decoration. 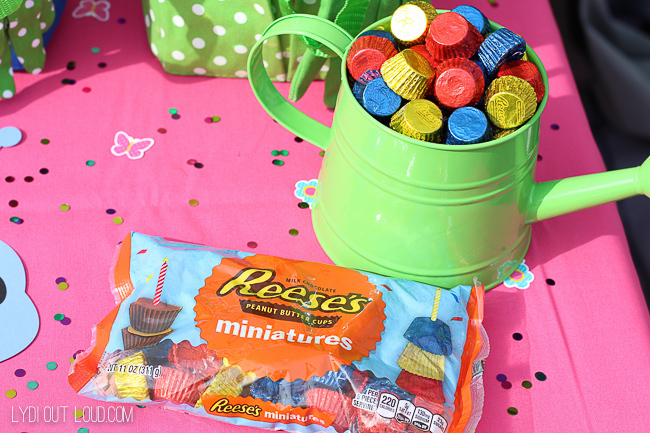 B., Birthday Parties with Hershey has Reese’s Peanut Butter Cup Miniatures. (I mean, have you seen my Pinterest Desserts board?! Chocolate and peanut butter is my love language!) The Hershey’s birthday themed products can be found at Walmart in the party aisle… this makes it easy to pick up all of the party supplies in one swoop. I set up a craft table with plenty of paint colors and paint brushes for the kids to decorate their pots. 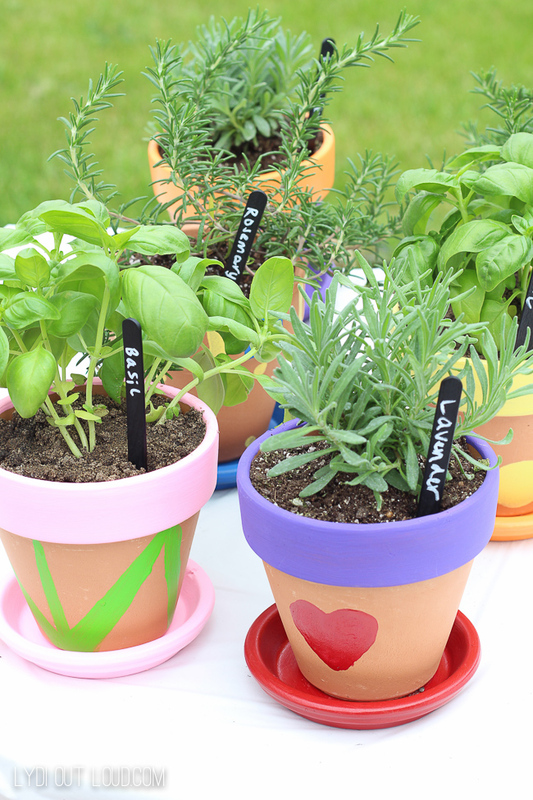 I had spray painted popsicle sticks with chalkboard paint to use as garden markers in the potted herbs. 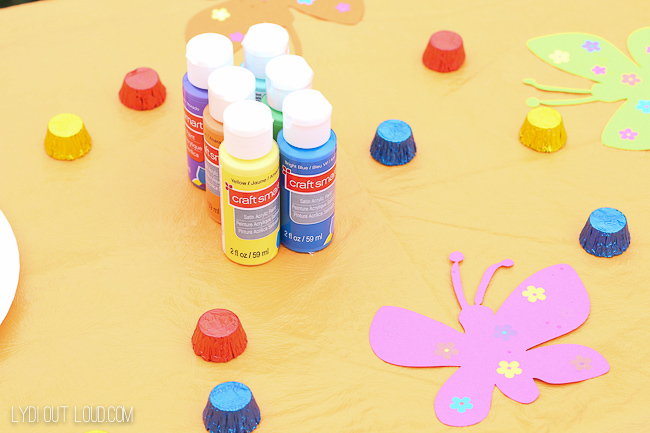 In keeping with the butterfly theme, the kids can create thumbprint butterflies on their clay pots or paint them however else they would like. While the pots dry, it’s time for presents, snacks and Reese’s Peanut Butter Cup Miniatures! Once the paint on the pots is dry, the herbs can be planted. I wrote out all of the herb names on popsicle sticks with chalk for garden markers. The kids can do the dirty work of actually planting the herbs for their moms, the planting table had plenty of herbs to choose from and enough soil to fill in all of the pots. 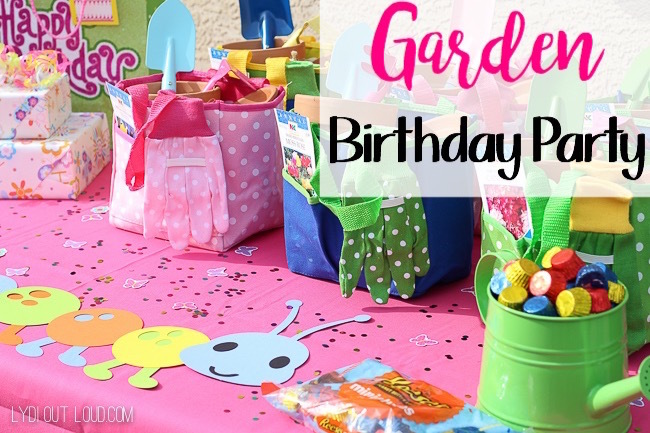 A garden birthday party is perfect for spring and summer and a great introduction to gardening for kids. 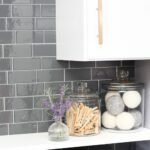 They will love getting their hands dirty and making a gift that mom will love while they’re at it. What’s the theme of the next birthday party you’re planning? Great post with an awesome picture.such a good idea for the party. Great share..Looks like fun! Awesome way to celebrate a birthday! good and nice idea dear friend. I will try to use it on my niece’s birthday party. Thanks Kimberly… I loved gardening as a kid! 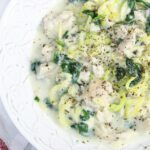 This is such a perfect theme for springtime! And I love that you added a little gardener’s kit alongside the candy. Great post! Love this party idea! So adorable, and the garden gift bags are a great idea. Thanks for sharing! I love this. It is so festive, it lightens my spirit! Aw that makes me so happy Whitney, thank you!! Oh yay, I’m so glad! Thanks Whitney! Such a fun way to celebrate a birthday!